Torrie Hart, an American actress, is known for her appearance in few movies and TV series. She is the ex-wife of famous actor Kevin Hart. Torrei Hart was born on 28th February 1978 in North Philadelphia, USA. She had a close-knit family and grew up with her family. She was raised in southern New Jersey by her parents. She was very much interested in acting and arts since her childhood. So, she started studying arts as well as acting at a very small age. Torrei Hart wanted to receive her education from Winslow Township High School and she joined the school when she reached her teens. Later, she enrolled herself at Community College of Philadelphia. She had met her ex-husband actor and comedian duo Kevin Hart there. Initially, Torrei Hart engaged herself on the audition circuit to make a home for her new family. However, after getting a divorce from Kevin Hart, her career took off in a different way. Torrei Hart launched her own new YouTube channel Pretty Funny Fish. It was a success and exploded in popularity. People loved it. So, Torrei Hart started a production team at the same time. She started to make comedy online videos after with the production team. Torrei Hart also signed a production partnership with Russell Simmons to create online videos for Simmons’s company All Def. Digital. She is also the writer and producer of her own videos. Not only this, she also produced, co-wrote, and acted in her own short film entitled Victim of Circumstance. The film won various awards and was a buzz creator in short film industry. Besides film industry, Torrei Hart also launched a non-profit organization with her sister with the objective of helping women overcome adversity in their lives. The organization’s name is S.O.A.R. in 2014, she teamed up with Skimpy Mixers to create her own-calorie, low-sugar cocktail mixer. Torrei Hart also co-starred alongside Tameka Raymond and Monyetta Shaw in a reality show named Atlanta Exes in the same year 2014. The show premiered on Vh1. Torrei Hart was in the film “American Bad Boy” that was released in 2015. Her another movie was “But Deliver Us From Evil” which has a release date of 15th April 2017. 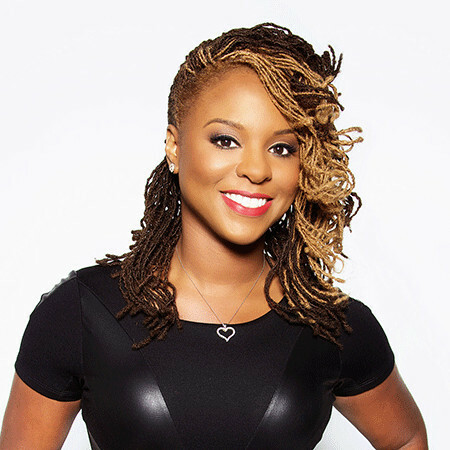 Currently, Torrei Hart is busy developing her own television project and writing a self-help book for women. Torrei is a divorced woman. She is the former wife of Kevin Hart. Torrei Hart married her college sweetheart Kevin Hart in 2003. She received the surname Hart from her husband Kevin Hart. They welcomed two beautiful children, Heaven Hart and Hendrix Hart, together. Sadly, the couple divorced in 2010, citing irreconcilable differences. Even after the divorce, Kevin was close to her. Kevin and Torrie share custody of their children. Torrie is not married after divorcing him. However, her ex-husband, Kevin married Eniko Parrish in 2016. Torrei Hart stands tall with at the height of 5 and 2 inches. Her net worth is estimated to be worth $3 million accumulated from her business ventures and production works. The biography of the famous Torrei Hart can also be found on Wikipedia, IMDb, Twitter and more.